Two young volunteers visited the JPF office to tell us about their adventures! 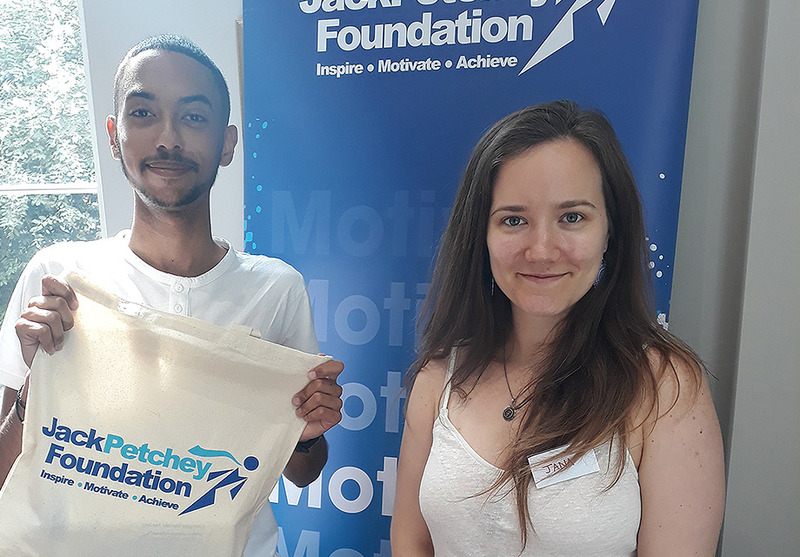 Last week, we invited two young people who had used an Individual Grant for Volunteering from the Jack Petchey Foundation to travel across the world and volunteer in different projects to come for a visit to our head office. Jana and Ethem came to have lunch with staff at the Foundation and tell us all about their trips. Jana, who is currently enrolled on a Masters degree in Marketing at the University of Greenwich, travelled to Ghana with the charity ‘Challenges Worldwide’. She spent ten weeks working with a group of volunteers on a project focused on helping small businesses to develop and, in turn, help to encourage a sustainable economy for the community. Jana told us all about her once in a lifetime experience from the food to the people, right down to the public transport. She reflected on how different the community’s way of life is compared to London. She told us how a 10-mile journey on a bus could take up to four hours, but that didn’t matter because everyone was always late and never in as much of a rush as we are in London! Ethem, who is currently working towards being a pilot, also joined to tell us about his incredible trip to Ecuador. He travelled as part of a group of seven volunteers from his school, volunteering for four weeks, working in a different area each week. They volunteered with ‘Camps International’, a grass roots organisation who work with local community projects to ensure the volunteering focuses on tasks that will benefit the locals. Each of the leaders knew what the community needed, the volunteers were then able to implement these changes. Their volunteering was split into four weeks, they travelled from a costal jungle, to an Amazonian jungle, to the Galapagos Islands and then the Andes! At each destination they worked on a new project such as painting a school, building a toilet, constructing a road and even teaching English to a pre-school class. Ethem says his A-Level Spanish came in very handy for this! Being able to sit down with the young volunteers and hear all about their amazing trips was a great experience for us. We love to find out how young people benefit from the grants we give out and what it has helped them to learn. We always want to know about the trips, experiences and lessons the young people we support have!